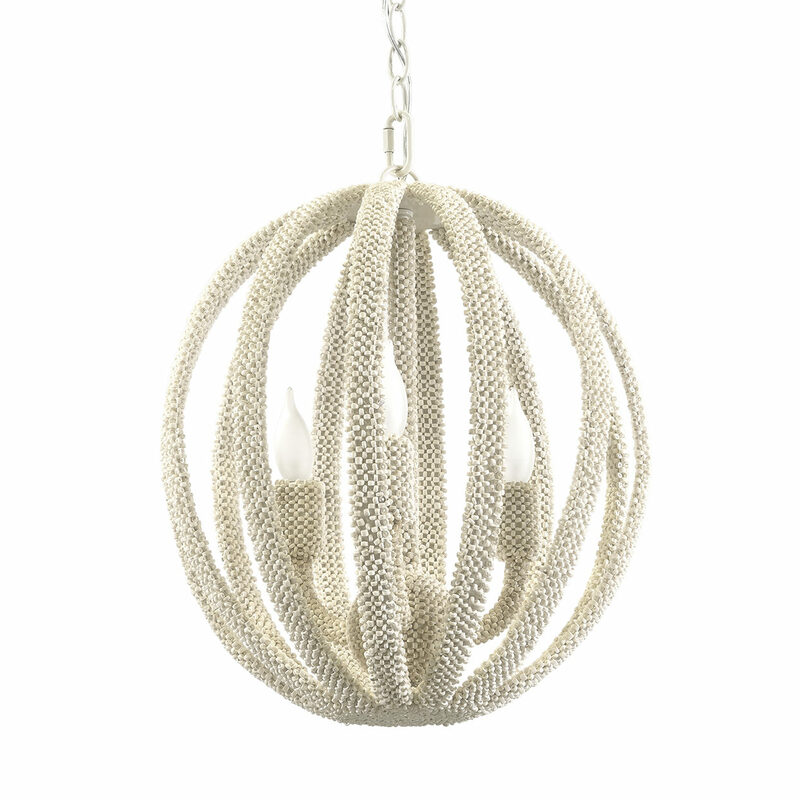 Classic metal chandelier silhouette fully covered with tiny woven coco beads in a soft white finish. Chandelier comes with a cream finished chain and canopy hanging kit. Professional installation recommended.